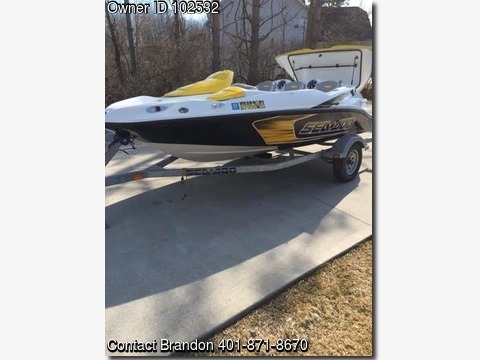 Please call owner Brandon at 401-871-8670. Boat is in North Providence, Rhode Island. Bimini top, S/S impeller, Sea Doo boat cover, reusable shrink wrap cover. BRAND NEW Upgraded stereo system with sub woofer.